The Crab Street Journal is a creation of the Land Hermit Crab Owners Society. This online community for land hermit crab owners was established in 1999 as Yahoo! Group and has continued to grow and expand. Our focus is providing free access to accurate and current care information for pet land hermit crabs. Our site is accessible to all without a need for registration but to interact with other members, you must create a free account. One of our most important goals is that our information be kept current AND valid. 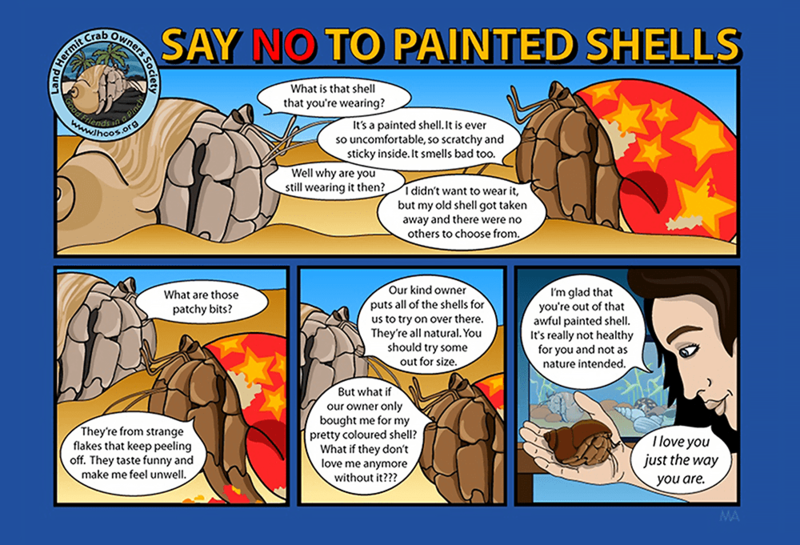 This means a lot of work to change the popular mind set in other hermit crab communities. Our mission of education is always ongoing. CSJ has just migrated to it’s fourth new home…starting on Yahoo Groups back in 1999, then to NukeEVO, then XOOPS and now here on BuddyPress. All relevant articles and content have moved with us over the years. So while the items posted have my photo and name, I am not the author of all this valuable information. The original author has been credited where ever possible. We thank all those dedicated crabbers who went before us and contributed to our vast library of information.